This article is based on an interview with Dr. Khalid Mahmood, Professor at Department of Information Management, University of the Punjab, Lahore. Who does not need to make decisions in life? Whether you are going to make a purchase of one of the two available needles with different prices or you are on the stage of comparing different colleges or of selecting your life partner, decision making becomes the critical part of the picture. No matter how big or small, but each matter requires your time and energy to get resolved. There comes Informed Decision Making which is essential if you need to stay on the right track in your life while tackling the temptations and the difficulties that tend to take you away. Wait, wait! As you know that research is the name of finding answers to the questions using some defined and specific methods, interestingly, it also includes finding the right questions themselves. The advancement we see in various fields of science and technology, social sciences and humanities, all of it is the result of research. The quest of man for finding answers leads him toward scientific discoveries, cosmic exploration, technological inventions, creating new things to boost man's efficiency, generation of new ideas and the list goes on. Do I Fit Into This? Well, yes, you do. Whether you are a scholar, a practitioner, a student or a common person, you have a lot to do with research. As a common person, you have to use research methods to think scientifically to solve your day to day problems. First of all, you need to identify your problem. Asking yourself the right questions will lead you toward a better understanding of the problem. 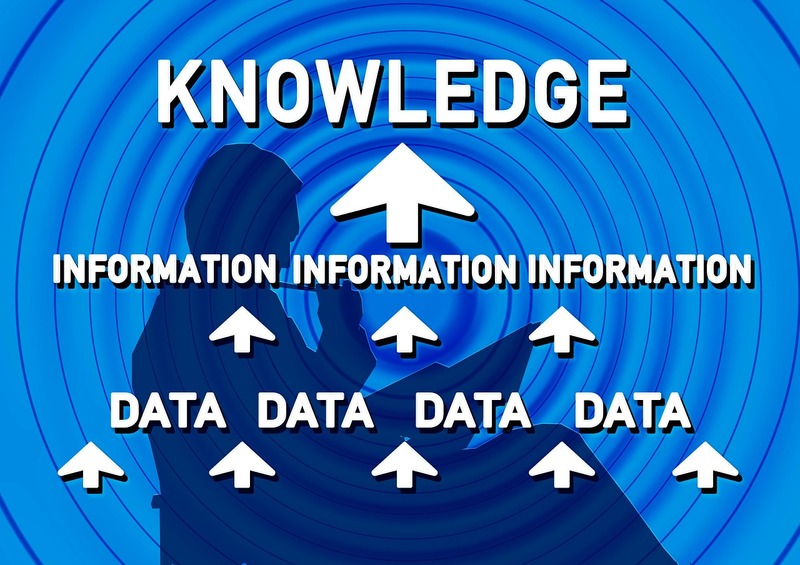 The next stage requires the collection of the exact information you need to know and the knowledge about how to get that relevant information. This is called Information Literacy. In other words, it is the ability of a person to understand his information needs and to fulfill those needs. Moreover, you should be able to generate new information if nothing relevant to the needs is available. The third stage is analysis. You have to check for and compare pros and cons of different available options and weigh them according to your standard. This stage requires critical thinking and logical reasoning. You also need to know different methods of analysis and which one to apply in your case. At last, comes taking the decision itself which becomes quite easy if you went through the earlier stages very well. 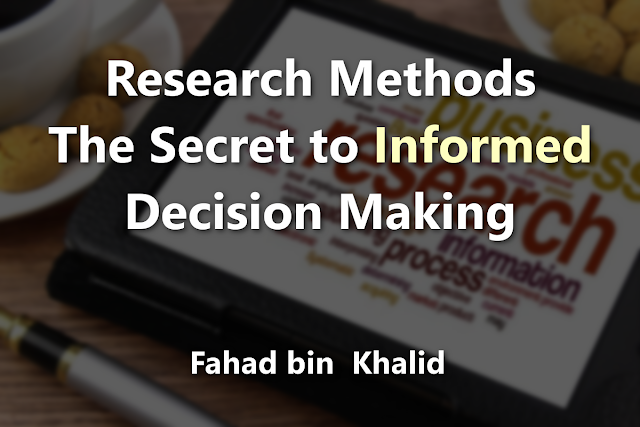 Now you know that each step of decision making involves research and of course, requires the basic knowledge of research methods. Did You Know This Before? If you are not a professional researcher, the most probable answer is "no." Research methods are taught at a higher level in universities where scholars carry professional research work but unfortunately, the importance of learning research methods as a common person is very much underestimated in Pakistan. The main reason is our low emphasis on the research itself. Our education system does not encourage students to question things, to find out reasons behind everything, and to think out of the box. It just kills a child's curiosity. On the contrary, the Western education system teaches their students basic skills for research. That is why they focus on research in science, technology, social sciences, economics and other fields critical for development and that is the reason why they are far ahead of the world in every material aspect. Research methods should be taught at all levels including primary to higher education. This knowledge includes basic skills to think and to understand things in a better and a systematic way which saves a lot of your time and effort. There is a need to make people aware of the benefits of thinking and solving day-to-day problems scientifically. "I, as a teacher of Research Methods, apply scientific principles to solve my domestic problems as well," says Dr. Khalid. Keep in mind that it is easy. There are many good books available on the subject online even in Urdu. You will have to learn some basic principles of the subject and will not need to go into deeper details to apply that knowledge in your daily life. Teach one another. Learn from one another. Moreover, the experts and the people in power should take steps to design light courses to be included in the curriculum according to each level of education. This is the way we, as a nation, can move toward a better future, both, socially and technologically by improving our decision-making process.